It’s an Epidemic - Sarah Scarbrough, Ph.D. There is huge talk of the heroin epidemic – but it is really a drug epidemic – heroin is just a component of it. It is tragic to really understand what is going on and how it has gotten to this point. Historically, people actually received the drugs they were buying and knew what they were ingesting. Today – it’s totally different. There are so many synthetic drugs and drugs that are laced with a number of things – fentanyl, crushed up pills, and maybe even horse tranquilizer. I met a lady who thought she was smoking weed and it ended up being laced with horse tranquilizer – she was permanently paralyzed on the left side of her body. While a person may know who they are buying drugs from, they don’t know the line of folks the bag of ‘goods’ came from. This is the tragic and sick reality we live in today. So, let’s rewind – rewind years prior to the start of drug use. What exactly led to use? It certainly can’t be attributed to one single factor; however, trauma is certainly one of the highest contributing factors. Trauma will be an upcoming blog post, but the concept will be introduced in this blog post. If the jail or prison population is examined, a large majority have significant childhood trauma, to include abuse (emotional, physical, verbal, and/or sexual), divorced parents, mental health, incarcerated or drug using parents, suicide attempts, and other like factors. All of these unfortunate circumstances have adverse effects on a child as they grow up and even stunt and effect brain growth. Each person’s resilience then directly leads to what they are involved with as they grow up. If they bounce back and tackle the situations head on, they often can overcome the trauma and hardships without engaging in negative behavior. However, if resilience is not achieved, they are likely to attempt suicide, inject drugs, be obese, smoke cigarettes, become incarcerated, and/or even die years sooner. As such, those battling childhood trauma need special treatment in order to be able to overcome it. So how does this connect with the drug epidemic? 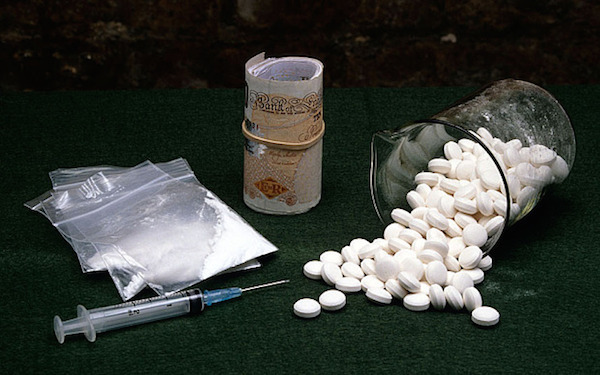 Most often drug users are using for a reason – self-medication to overcome pain or hardships. It is a way for them to cope with the trauma from years before – a means to coping with the negative emotions and feelings since they were not able to cope in a healthy manner. Then this same person who used to have a possession charge is now faced with a robbery charge. Addiction leads to very dark place s– one in which addicts are often willing to do anything and everything necessary to obtain money to buy the drugs. And the cycle just keeps going and going until something is done. Tragic, but true. Next blog will examine trauma in greater detail in order to grasp a better understand of why it is so highly correlated to use. Then we will look at what should be done to help curb this! Passionate about improving the Commonwealth of Virginia, Dr. Sarah Scarbrough has dedicated thousands of hours to innovative research aimed at improving the criminal justice system in her home state. 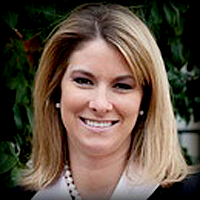 Sarah earned a Ph.D. in Public Policy from Virginia Commonwealth University in 2012. Dozens of media outlets across the nation have featured her research regarding substance use and recidivism rates. © 2013 Dr. Sarah Scarbrough / sarahscarbrough.com. All rights reserved.